The decision to hand the best film Oscar to "Green Book" continued to be debated Monday, long after the last Champagne glass had finally been emptied. Rarely in Oscar history, after all, has a winning movie prompted a noted guest in the audience, who had just won his first competitive Oscar, to try to storm out of the night's big coronation. Spike Lee's vocal disapproval of the segregation-era road-trip drama was but an early indication that "Green Book" will remain a polarizing choice, especially for its depiction of race relations and its sentimentalized approach. It emerged victorious on the night against Lee's own confrontational "BlacKkKlansman" and the Afro-futuristic blockbuster "Black Panther." "Many of us in the black community would like to see greater recognition for movies about the black experience and not just for movies that make the black experience comfortable for white audiences," wrote television commentator and author Keith Boykin. Meanwhile, Justin Chang a critic at the Los Angeles Times laced into "Green Book," calling the film "an embarrassment" and "the film industry's unquestioning embrace of it is another." He declared it "insultingly glib and hucksterish, a self-satisfied crock masquerading as an olive branch." A whole thread on Twitter emerged to gently mock the film, including the lines "'Green Book' thinks the Civil War was mainly about economics' and "'Green Book' thinks you're so articulate." "Green Book" tells the story of a white man who becomes friends with the black musician he drives through the 1960s South for a concert tour. The name is derived from a publication that helped African-Americans find establishments that would serve them in the segregated South. Seated in the audience on Oscar night, Lee waved his hands in disgust and appeared to try to walk out of the Dolby Theatre when "Green Book" was announced as the winner of the top trophy Sunday. He made his way back to his seat and later backstage compared the best film selection to a loss by his beloved New York Knicks basketball team. He later joked, "The ref made the wrong call." 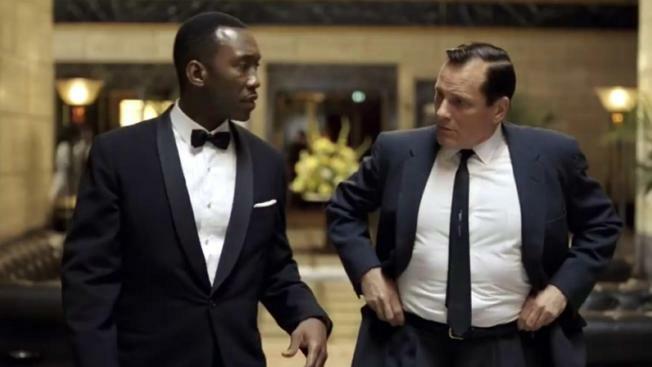 Members of the team behind "Green Book" sought to dampen any lingering tensions. Of Lee's criticism, co-writer and co-producer Brian Currie told The Associated Press, "We have all the respect in the world for the guy." Mahershala Ali, who won a best supporting actor trophy on Sunday for his role in "Green Book," told The Associated Press in November that the film is a portrait of race in America unlike one by Jenkins or Amma Asante or Ava DuVernay. But he believed the film's uplifting approach has value. "A couple of times I've seen 'white savior' comments and I don't think that's true. Or the 'reverse "Driving Miss Daisy'" thing, I don't agree with," he said then. "If you were to call this film a 'reverse "Driving Miss Daisy,'" then you would have to reverse the history of slavery and colonialism. It would have to be all black presidents and all white slaves." But even relatives of concert pianist Don Shirley — depicted in the film by Ali — took issue with the story's accuracy. "We know what the truth is," said co-writer and producer Nick Vallelonga. "We know how hard we tried to respect everyone involved and just tell the best story we could."